The Library of Congress National Book Festival is coming up this Saturday, and as usual, there's plenty of famous names on the roster, including Lois Lowry, Shonda Rhimes, Katherine Paterson and Jeffrey Toobin. 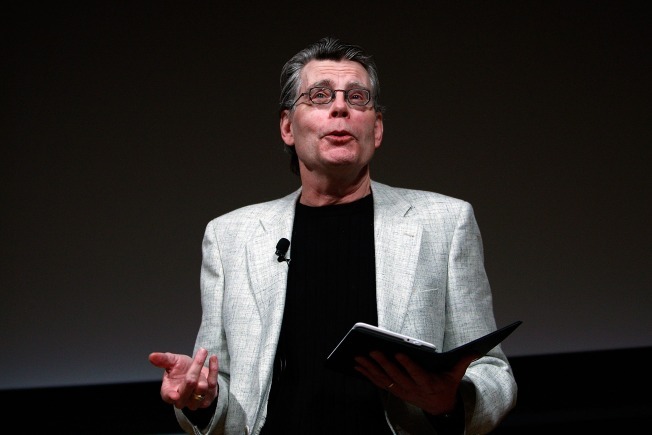 Stephen King, whose event is now sold out, will be opening the Main Stage of festival to reflect on his lifelong works. The event is also family-friendly, with two children's authors stages, as well as various interactive programs throughout the day ranging from readings by local kids' authors to a bookmark coloring station. You'll also find shopping opportunities (naturally). Politics & Prose, the official bookseller of this year's festival, will be selling selected novels from the festival's authors on the expo floor. You'll find it all at the Washington Convention Center from 8:30 a.m. to 10 p.m. The event is free and open to the public. See the festival's full schedule here. In order to make the event easier to navigate, the Library of Congress is now offering a free app, available on both Android and iOS. The app includes a full schedule of the day's speakers, book signings, presentations and activities and can be personalized based on the user's preference. Users can also take videos and photos to post directly to Twitter or Instagram using the hashtag #NatBookFest. Book lovers who can't attend the festival can also download the app to follow the live feed throughout the day. The National Book Festival began in 2001 as a way of promoting literacy and books, bringing together both readers and writers for a day-long celebration.